Since young children often show creative mathematical thinking when solving problems, we are inviting teachers of 3 to 5 year olds to share children’s responses to NRICH activities, as teachers of older children currently do. Young children may reveal their thinking in different ways when solving problems, by what they say, do or record. So examples may be in the form of written observations and annotations of photos, children’s recording or even videos (but please avoid gdocs format). This question shows a lot more about Alice’s understanding of the ‘three plus one-ness’ of four, than any recording she might have done at that age. 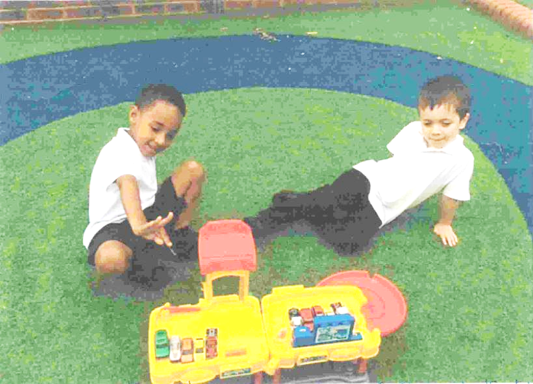 Sometimes photos capture children’s problem solving more effectively: the boys’ satisfaction in their solution to the problem of parking 10 cars in two car parks is evident here. Of course you need to check you have permission to send us photos. The activity Maths story time presents the problem of pirate panda who refuses to share his gold coins with the other pirates. The problem gets interesting when another character comes along and there is a remainder. Three to five year olds will readily give advice! You need to see the solution to appreciate it! Video can be the best way of capturing the problem solving processes children go through. For instance, children can be seen refining strategies by using trial and improvement. Videos can also form a useful basis for conversations with children: replaying and discussing a video can help them to reflect on their thinking and learning. Of course, parents or carers must give permission before videos can be shared. Older children’s creative solutions may be shown by their recording, especially when accompanied by explanations. One reception child invented the solution of the pirates taking turns to have the remainder: ‘Pirate Sally gets it first, that’s why she has 5’. 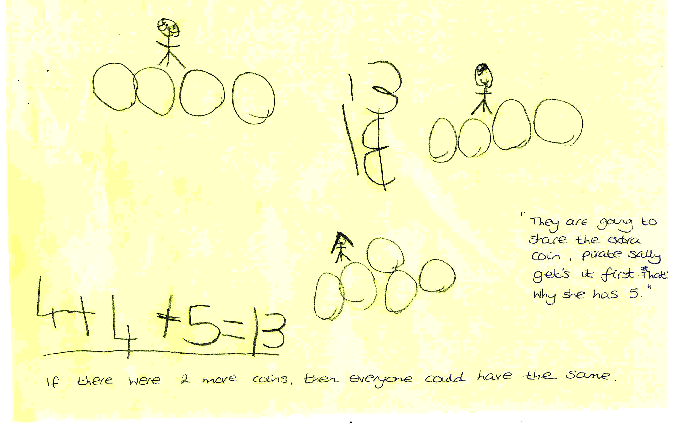 She also offers an alternative solution: ‘If there were two more coins then everyone could have the same’. This is good evidence for the EYFS Characteristics of Effective Learning: Creating and thinking critically- choosing ways to do things and finding new ways (Standards & Testing Agency, 2014). It also shows an effective combination of verbal explanation and pictures to support a number sentence. Not many children of this age will write standard equations. 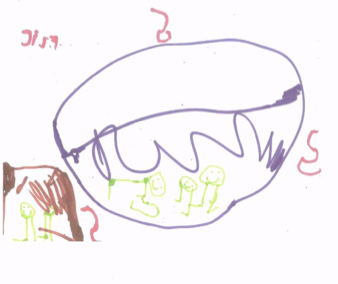 Young children often show creativity in the way that they combine conventions of writing, drawing and using symbols to express their thinking. 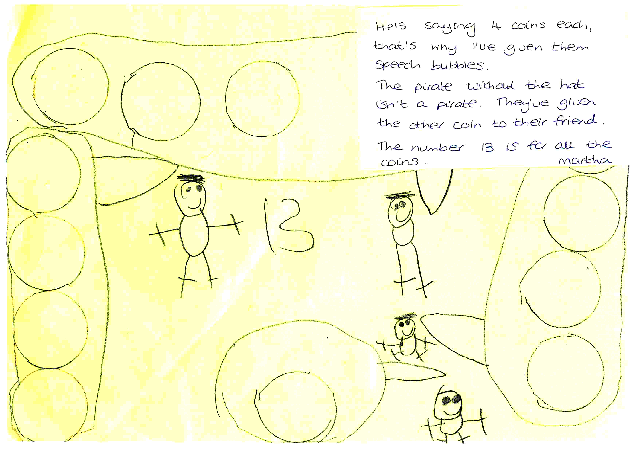 In the example below the child uses speech bubbles to show pictorially the amount each pirate receives, with the remainder given to a non-pirate friend: ‘He’s saying 4 coins each, that’s why I’ve given them speech bubbles. The pirate without a hat isn’t a pirate. They’ve given the other coin to their friend. The number 13 is for all the coins’. In this inventive recording the solution is graphically displayed and only the total is expressed in numerals. The teacher’s notes are crucial in providing the child’s explanation and together these records give insights into the child’s thinking. 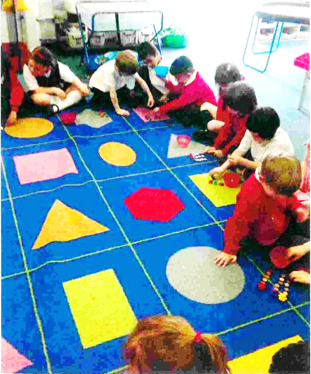 More examples of young children’s creative mathematical expression are in Janine Davenall’s article, Young Children's Mathematical Recording, which shows children using arrows and hands to record subtraction problems, as well as a variety of emergent number sentences. 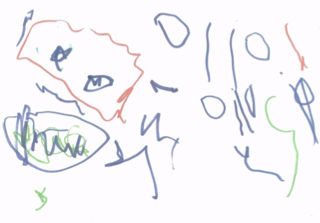 Younger children can also record, given coloured pens and large sheets of paper! Number rhymes provide a ready source of simple problems: see the NRICH task Number Rhymes for more ideas. Below are some examples of nursery children showing their solutions to the problem of how many of the five little speckled frogs might be on the log or in the pool. These also show creative use of a combination of drawing, symbols and mark making to express the children’s thinking. Rachel Fleming, Headington Prep School.